Sales can be a notoriously difficult job and selling directly to businesses comes with its own set of challenges. Firstly, there’s the complexity of the solutions that businesses require. In B2C sales, products are usually quite straightforward and don’t need much in the way of explanation. In contrast, the services offered by B2B companies are often far more complex and take a lot more work to demonstrate to the end user exactly what value it can offer them. The more complex a solution is and the higher its cost, the longer the sales cycle is likely to be. B2B buyers often spend far more time than the average consumer researching solutions and seeing how the options stack up against each other, then finding whatever ways they can to drive the price down and secure the best deal. For teams, it is a balancing act between trying to move the sale along and becoming too pushy – which will only result in turning a buyer off. This also means that rather than tailoring sales pitches to a single user, you need to be prepared to pitch your product or service to multiple stakeholders at multiple levels, each of which will have their own unique needs and priorities. Every individual stakeholder needs a pitch tailoring for them, so you need to understand what it is that drives them and adjust what you say accordingly. If you pitch the wrong features to the wrong person, then you’re likely to blow the entire sale. Every business needs paying customers to survive – as there won’t be a business without sales – but how do you draw in leads in the first place? In reality though, the process is rarely easy. There will be certain challenges to overcome, as well as opportunities to capitalise on that may help shorten the process. A strong lead generation strategy will draw in plenty of the right type of web traffic. Successfully converting them into leads is then about forming and nurturing relationships with an entire company, looking at the multiple touch points along the buying process. It’s important to maintain a personal touch throughout the entire sales process, as people buy from people. That means staying in contact but never bombarding a lead, or coming on too strong. What are the best sales practices? What ends up being the most effective approach overall will vary from business to business, but there are some key issues to address that can help improve the results of any sales team. Firstly, you need to establish who your ideal buyers are. This doesn’t necessarily mean those who make the most purchases from you, instead focus on which are the most profitable accounts overall. 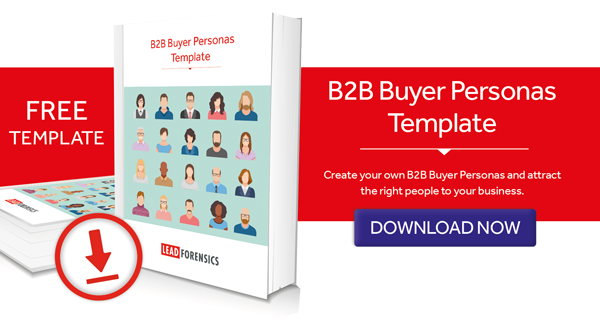 Once you’ve established your ideal target market, you should construct your buyer personas – detailed outlines of each of your main target customer types – which can be used to ensure your content and sales approach is as tailored and specific as possible. How companies interact with buyers has changed hugely in recent years. Buyers nowadays are far more knowledgeable and savvy, empowered by the wealth of information that is now at their fingertips thanks to the internet. Companies no longer need to ask: ‘What can I sell you?’, but instead should be asking: ‘What problems are you facing?’. This style of sales requires you to become a recognised expert in a buyer’s eyes, to reassure them that you understand what’s ailing them and know exactly how to fix it. This requires you to know your product inside and out. One thing that’s often overlooked, as obvious as it sounds, is to make sure your sales team have all the tools they need to do the job to the best of their ability. Even the best sales rep in the world is only as good as the resources they have supporting them. Ensure everyone is properly trained and kept completely up to date on how to use all the tools they have at their disposal, as well as content and other marketing materials that are available. If your sales team doesn’t know how to use these effectively, then you’re never going to achieve your full potential. All content needs to be highly tailored for the target audience and ready for the sales team to use when they want it, so they achieve the maximum impact. Using sales automation software can dramatically boost performance. Rather than being designed to replace team members, automation technology is about enhancing your existing skills base. These types of systems ensure the right content is delivered to the right people at the right time, making sure your sales team always has the information they need, precisely when they need it. The hard work doesn’t end with landing a sale though. It’s also important to track what went well, what content worked and where the best prospects came from. This information can in turn be used to refine the sales and marketing process in future, making it even more effective. If one sales rep is performing better than their colleagues, why is that? What content are they using regularly? What can be replicated and rolled out to other team members? Remember to always rely on hard data here, not just gut instinct. You may be surprised by what is working the best.